We have spared no expense or effort to inform you even better about our medical products online. Browse our redesigned website and learn all about our high quality range of products. MHMedical Tec significantly expands its product portfolio. From November 12 to 15 please see us at the COMPAMED® trade fair in Duesseldorf in hall 8a, booth C37 to discuss your projects in detail and find out how we can support you. MHMedical Tec closes its second plant in Greven and merges all manufacturing activities at the Großostheim site. Process optimizations, cost advantages and the effort to adapt two production sites to the increasing regulatory requirements were the decisive factors for this. After the transition phase, we are confident that we will be able to optimize response times for our customers in the context of inquiry and order processing. 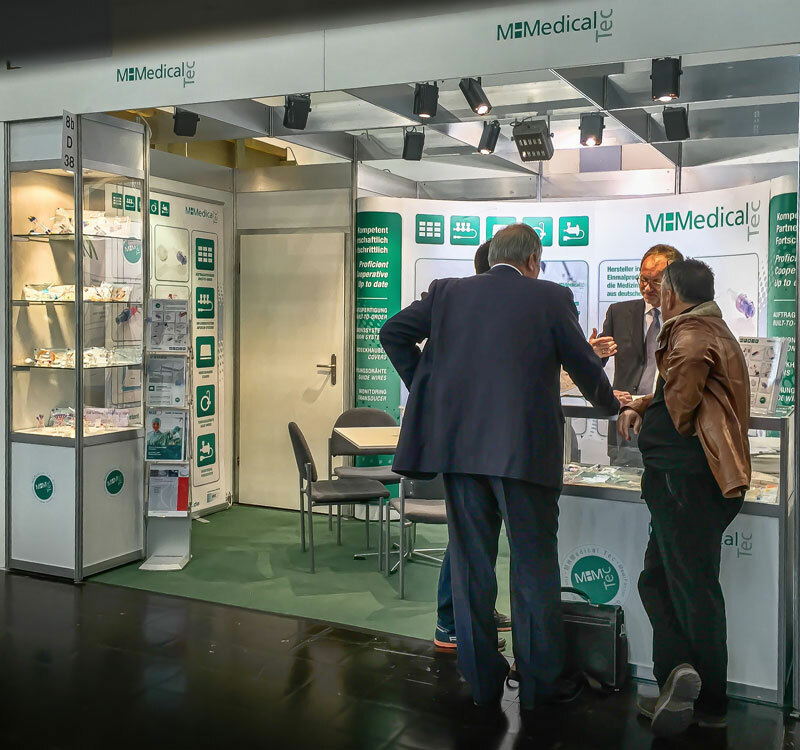 MHM has exhibited with great success for the third time at the internationally renowned COMPAMED®. MHM was selected for the COMPAMED® international exhibition preview by DeviceMed! MHMedical TEC significantly expands its product portfolio. From November 16 to 19 please see us at the COMPAMED trade fair in Duesseldorf in hall 8b, booth D38 to discuss your projects in detail and find out how we can support you. As a renowned manufacturer of individually designed disposable medical products, MHMedical Tec is not only a sought-after point of contact for clients but also for policymakers and media. In this context, MHMedical Tec was asked to comment on the impact of the current Euro exchange rate fluctuation.